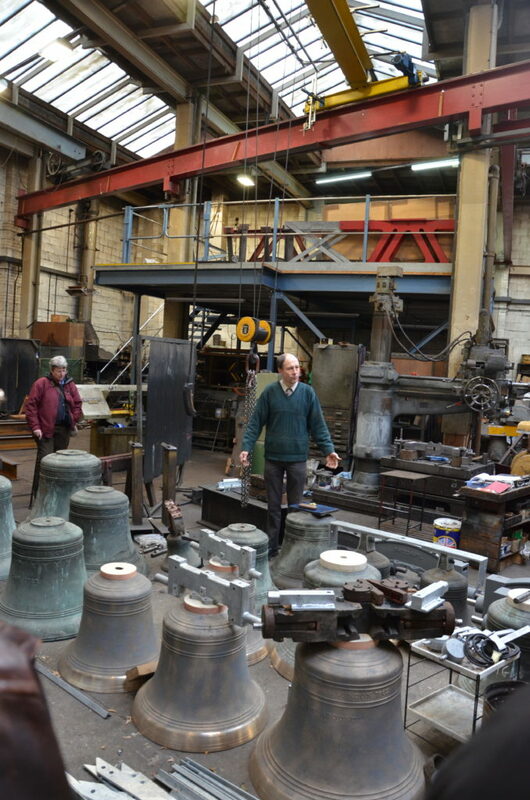 The Ancient Monuments Society supported the petition delivered to Downing Street yesterday, calling for a response to the sector’s concerns on the closure of Whitechapel Bell Foundry. In this campaign we joined the Society for the Protection of Ancient Buildings, SAVE, The Spitalfields Trust, the Council for British Archaeology, the Georgian Group, the Victorian Society and the East End Preservation Society, as well as many concerned members of the public who contributed over 10,000 signatures. Subscribers will have seen the piece in the recent Spring Newsletter, describing the Whitechapel Bell Foundry’s closure as the “single greatest cultural tragedy of the last quarter…it is well known that Whitechapel cast the bell at Big Ben and the Liberty Bell at Philadelphia, but thousands of churches contain examples of their work.” The photographs below were taken on our 2015 visit – an experience that is no longer possible, since a large quantity of the equipment was sold at auction on 6th April 2017. Although the site has not been upgraded to Grade I, we are glad that Historic England took the opportunity to consult the National Amenity Societies and that our request for the list description to contain more detailed information on the Foundry’s workshop interiors has been taken on board. 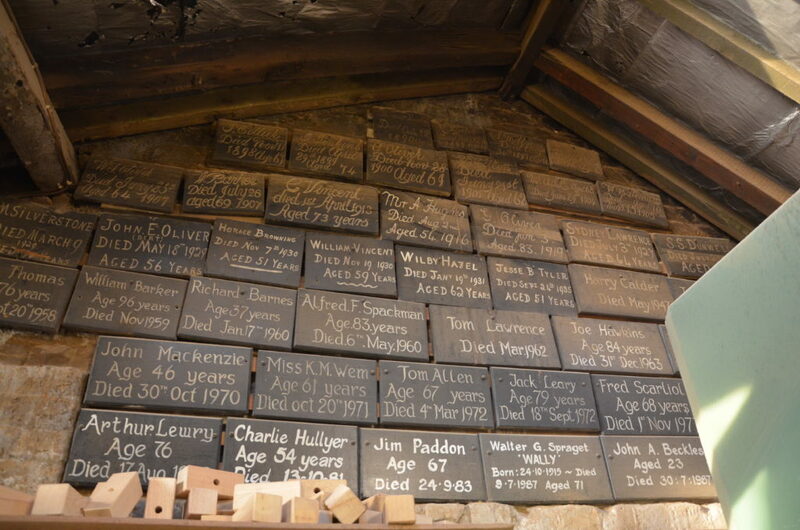 Features such as the wall of memorials to former workers, pictured below, have now been included. We are indebted to Amber Patrick, AMS member, who contributed her specialised knowledge of industrial archaeology to our response. The UK Heritage Building Preservation Trust (UKHBPT) has made an approach to the owner to acquire the site at market value. 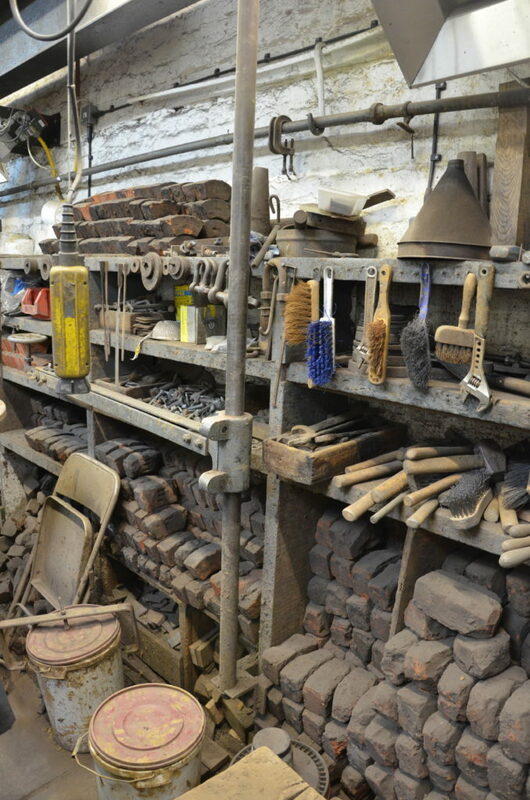 The Foundry, if bought by UKHBPT, would be run on a similar model to the Middleport Pottery in Stoke-on-Trent. We now await the Secretary of State’s response to the petition.